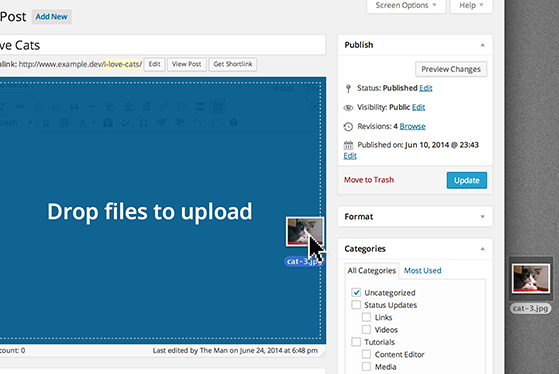 This video will introduce you to ‘Uploading Images’ inside of WordPress. Images help improve the overall look and feel of your site. 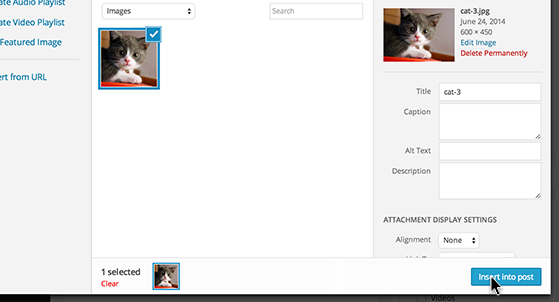 To upload an image from the post and page editor, simply drag-and-drop an image into the text editor. The ‘Media Library’ will open with the image you uploaded selected. Adjust the display settings and click ‘Insert Into Post’. You can also upload an image by clicking ‘Add Media’ above the text editor. Click the ‘Upload Files’ tab and click the ‘Select Files’ button at the center of the screen. A desktop browser will appear allowing you to search through the images on your computer. The image will appear selected and ready to insert into the post or page. Make a statement while improving your site’s looks and overall completeness by introducing your users, clients and internal staff to ‘Uploading Images’ in WordPress.